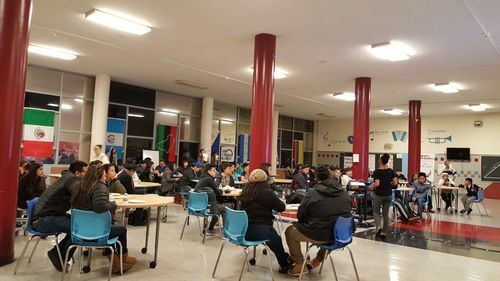 Cash for College is a series of FREE financial aid workshops for parents and students to attend. 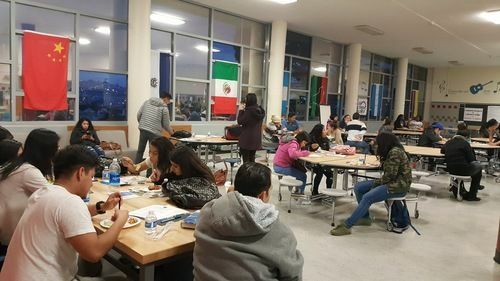 They will have a chance to finish and submit their FAFSA/CA Dream Act applications with the guidance of trained Educational Advisors and volunteers. 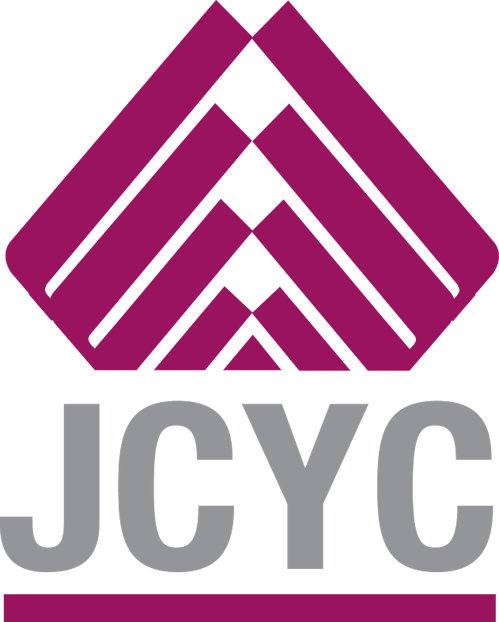 Check out the Cash For College events going on all throughout the San Francisco/Bay Area! What do I need to bring to a Cash for College event? Be sure to bring your parents federal income tax returns (e.g. 2016), records of investments, and the social security number for each family member (if applicable). What if I have questions about the financial aid applications after the event? Please contact any of our High School Educational Advisors or our main office to get more information. 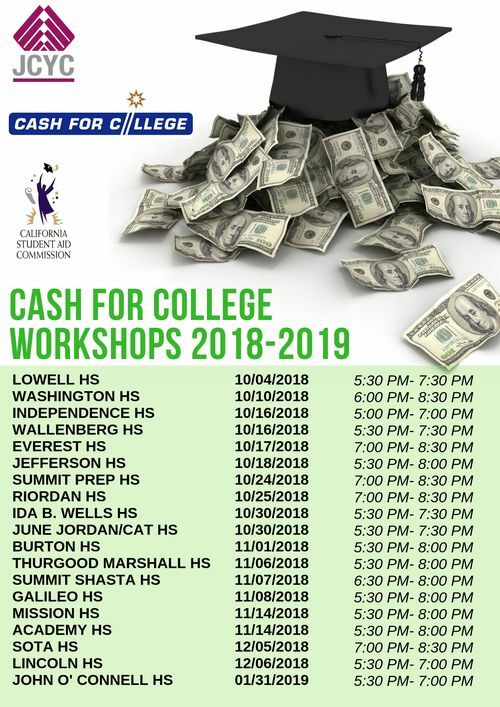 Can I still attend even though my child is not enrolled at any of the high schools organizing a Cash for College workshop? Yes! 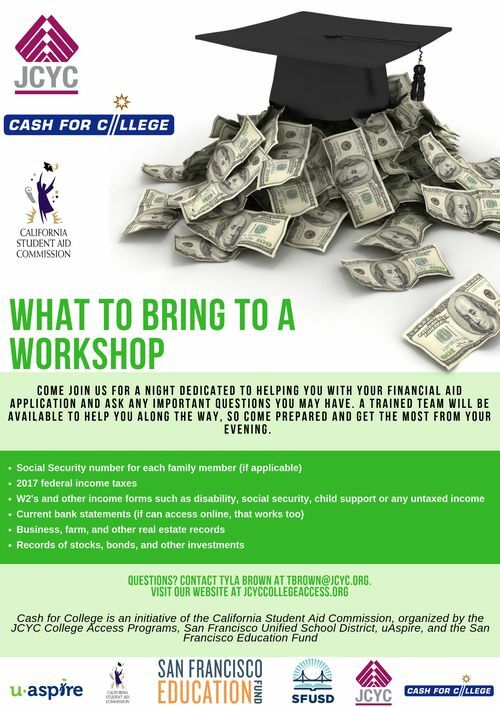 Students and families are welcome to attend any Cash for College workshop. 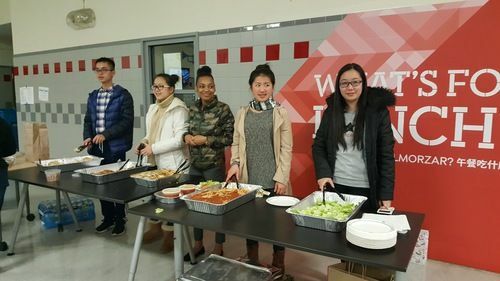 Food is provided at all Cash for College workshops. Also, parents are welcome to bring their small children.